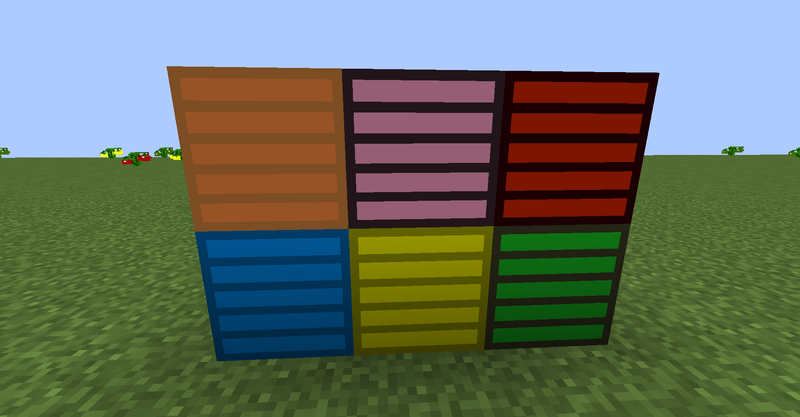 This mod used to be a mcreator mod. 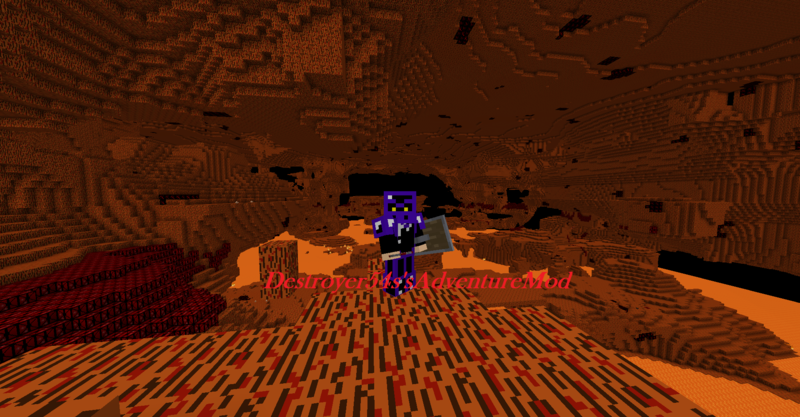 Here is the link https://mcreator.net/modification/38062/destroyer54s-adventure-mod. The mod had 500 something downloads, but they reset the website. 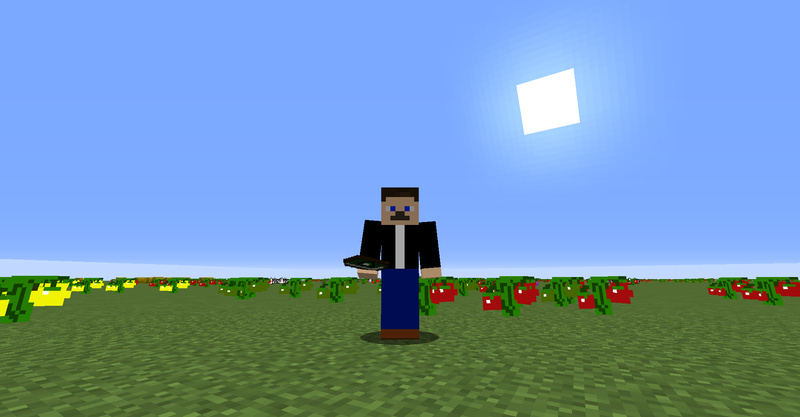 So eventually I decided that I wanted to be more creative, so I decided to remake my original mod in eclipse. This remake adds some things and adds some more stuff to the original that was planned for it. 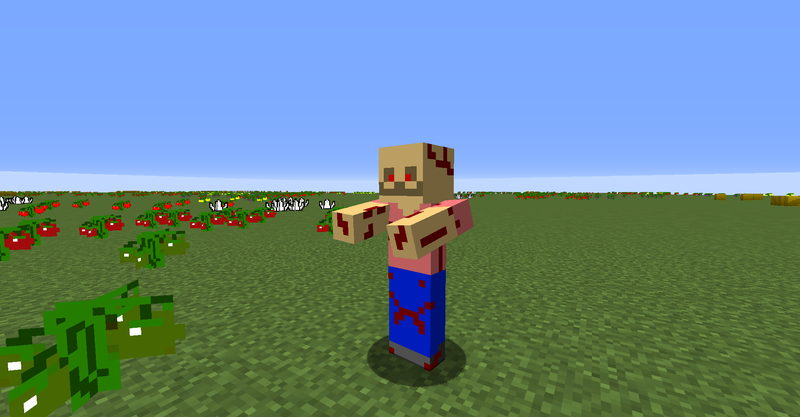 I will be continuing development of this mod and will be adding hopefully more creative features like more animations and maybe vanity slots for armor. 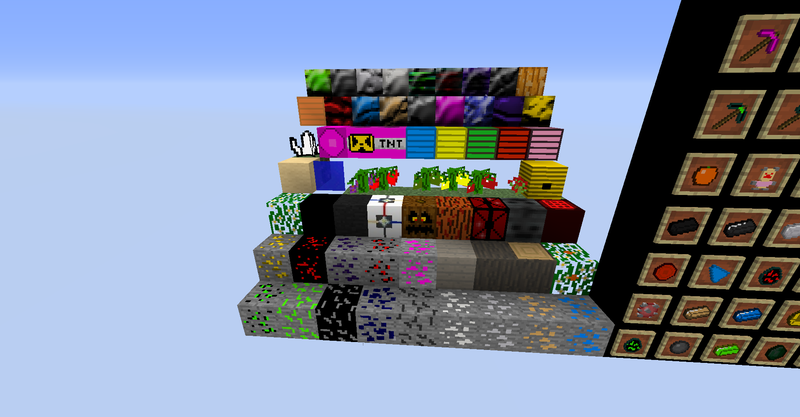 This mod has loads of content for its release it has 53 mobs, 3 bosses, 45 items, 41 blocks, 26 foods, 73 tools, 24 weapons, 22 armors, 1 dimension, 6 biomes, 8 blocks and plants that generate on the surface, 14 ores, and 3 boss heads. 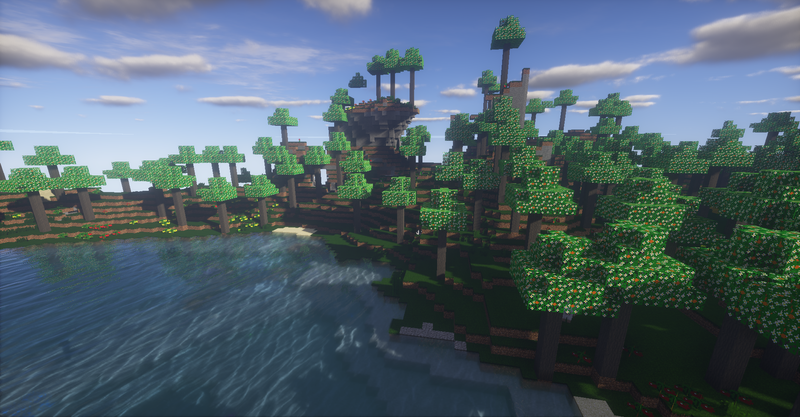 Remember to have a low render distance because the mod gets very laggy. These are the explosives in the mod. 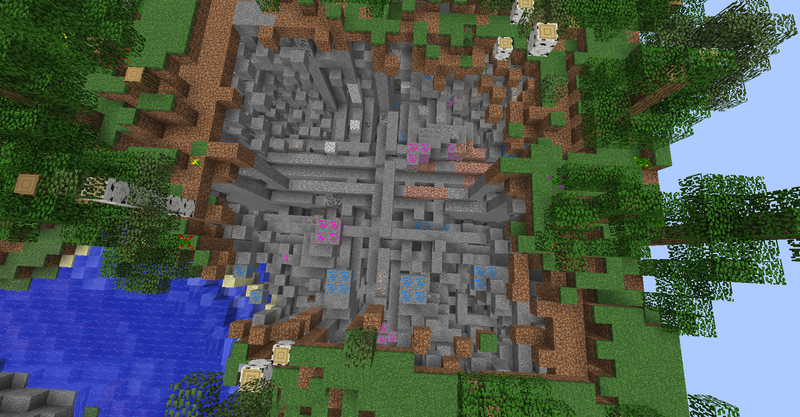 These are the golem blocks. 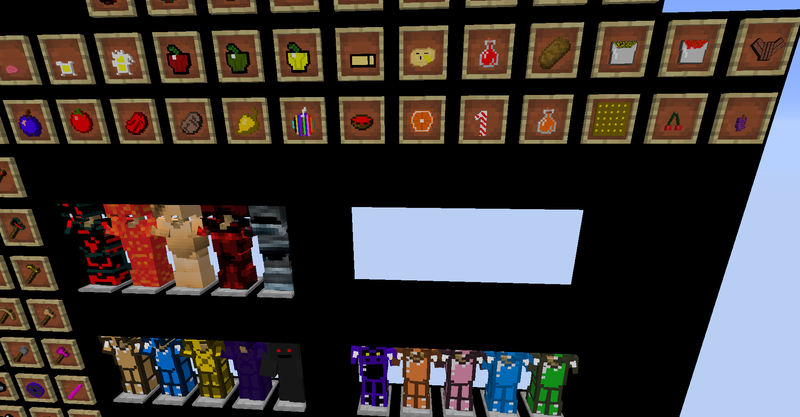 There are 12 types of golems you could eventually get your self enough gems to get one of the golem blocks. The red one is Dartos (dar-tos), the pink one is name ponnecen (pawn-e-ce-en), the orange one is hardend lava, the blue one is tetrin(te-Trin), the yellow one is zesters(zes-tres), and the green one is named xtres (X-tres). 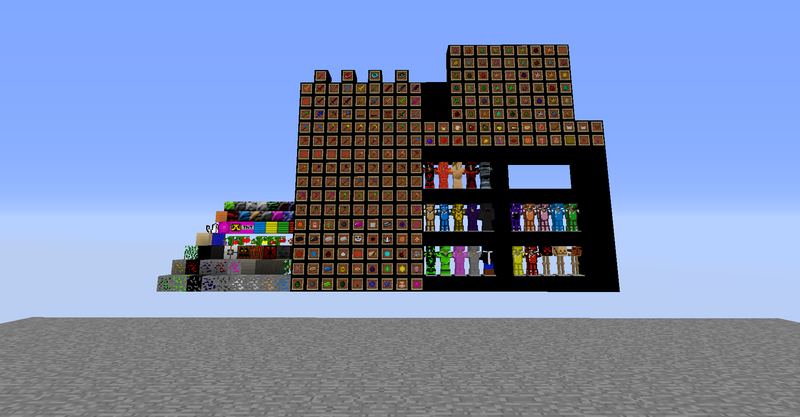 This one actually has an animation, a few of my items do. 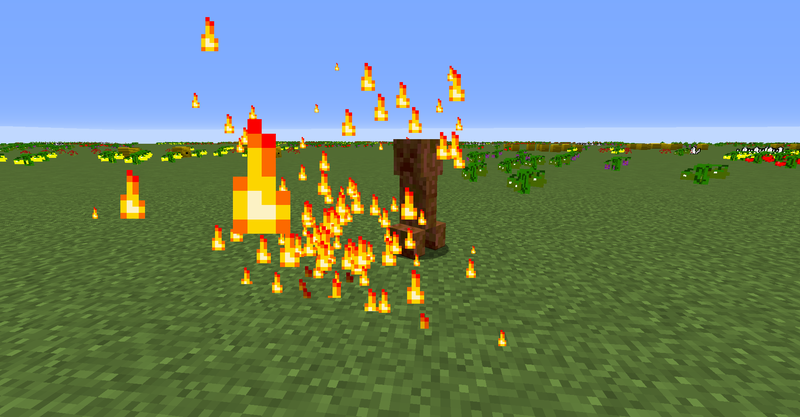 This one was one of the first items in the mod, but was never used properly until now. It can be found in the haunted dimension as an ore. This fiery gem's description reads "Filled with souls screaming and trying to escape." Pretty weird. 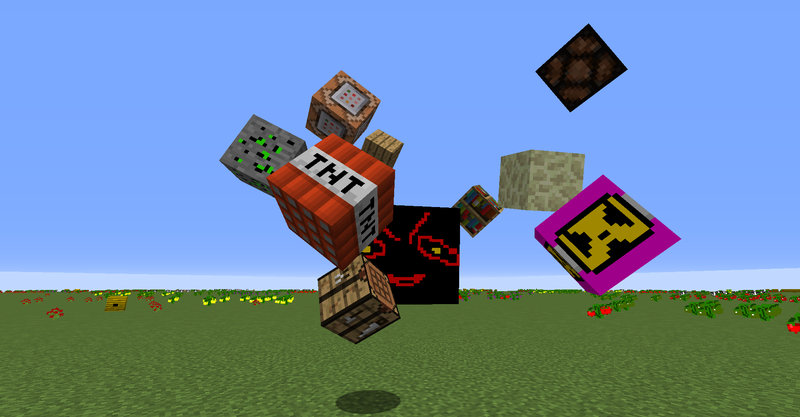 Here is some mobs for you. 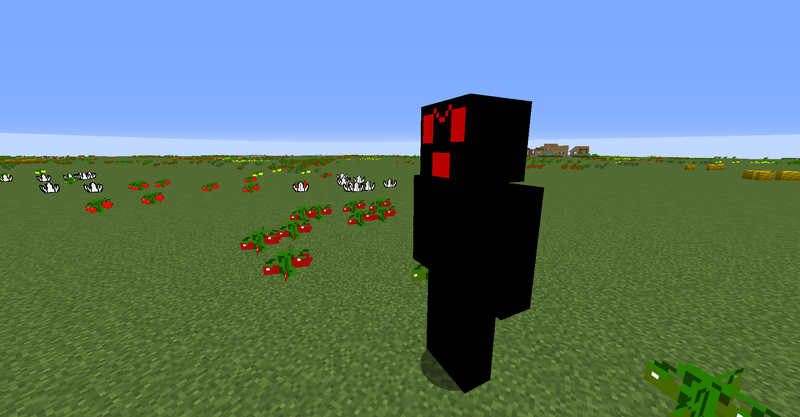 The Hell Creeper unlike the creeper. This monster is a major improvement over the original he has 35 hp, is okay in speed, and does 10 damage. He also shoots tiny fireballs and when you kill him it causes a massive explosion. 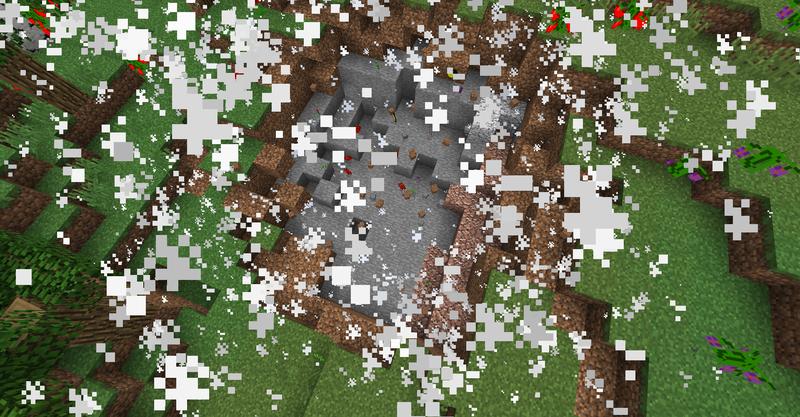 Which spawns lava in. I recommended fighting him at a range and using one of the books. 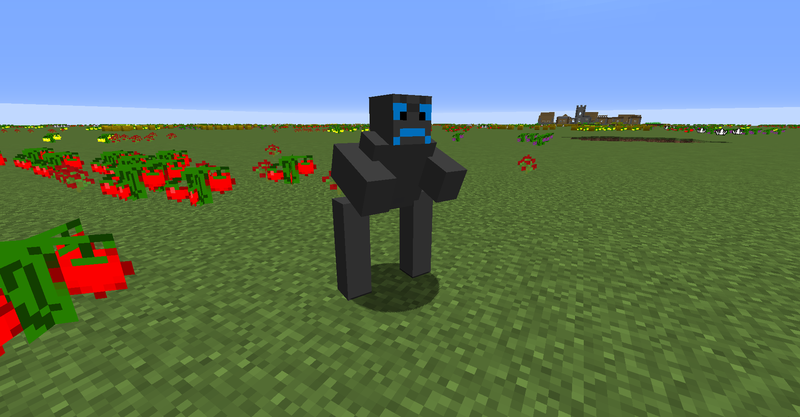 This is a basic golem there is 6 of these and they all do a lot of damage. They even with their armor will most likely kill you. They also shoot stone and have 5 armor points. They are very slow. They have health in the hundreds. This is the bigger golem, there is also six variants of the mega golem. They can shoot, have 5 armor points, do a lot of damage, and are very slow. 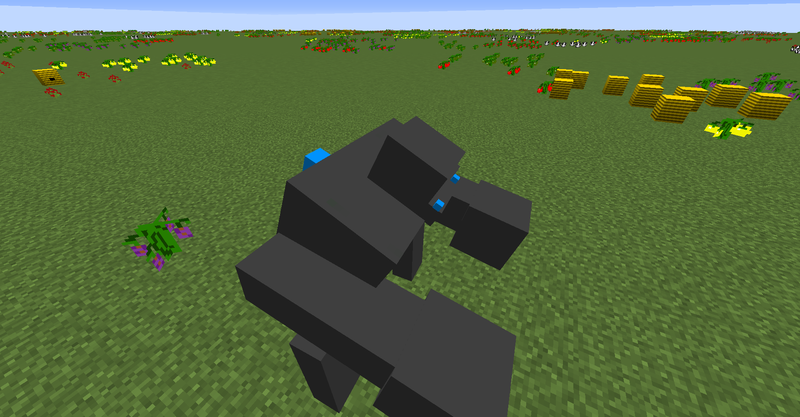 The mega golem also has increased stats over the original and when the golem dies spawns 4 of the corresponding color. They have hundreds of health. Around thousands. This is the first boss you will face in the mod. He is very fast, has 500 hp, does 7 damage, and has 10 armor points. He fires Darkessence blasts at you, so I suggest bringing golden apples. Bloody Teddy is probably the hardest boss to fight at the armor you have and is the second boss. He is faster than Mega Wraith, has 750 health, does 12 attack damage, and has 10 armor points. Unlike Mega Wraith his projectiles have intense knockback. Block Brunt is probably the easiest in certain circumstances. If he his doing only melee he will only do 15 damage, but if he is doing range he will hit you back more than twice as far as Bloody Teddy. He has 3,000 hp, is faster than Bloody Teddy, does 15 damage, and has 15 armor points. The only problem for him is the swords you fight him with do hundreds of damage and the armor has strength on it. 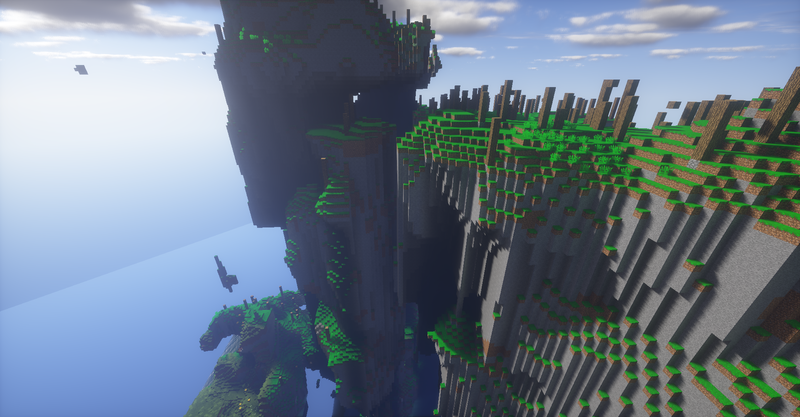 This is an example of a biome that looks like it came from the amplified world type. It has radioactive themed monsters in it. This book shoots skulls, poisons the enemy, and does almost half hearts. It is expensive to use it uses human skulls which come from hell zombies. For the other books you need ice balls for the ice book and fire charges for the fire book.